When the opening riff of Led Zeppelin’s “Good Times Bad Times” came through the radio in 1969, everything changed. 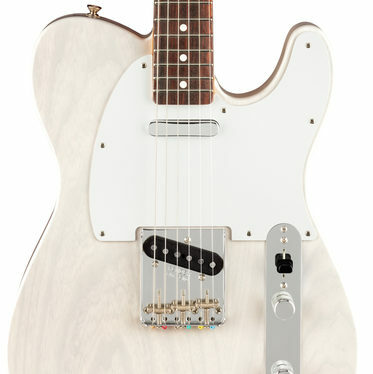 Jimmy Page altered the course of popular music with a single guitar: his 1959 Fender Telecaster. 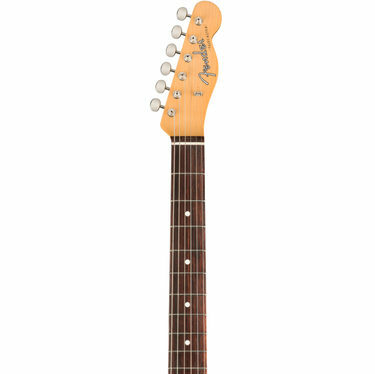 Co-designed with Page and crafted in Corona, California, the Fender Jimmy Page Telecaster is an homage to that legendary instrument, which created some of the most iconic riffs of the 20th Century. We recreated the fast, smooth-playing neck profile of Page’s original Telecaster – worn by decades of playing – and capped it with a period-correct 7.25”-radius slab fingerboard. Designed for authentic Fender tone, the Jimmy Page Custom ’59 Tele® pickups deliver the incendiary, full-bodied tone that inspired all the unforgettable licks on Led Zeppelin’s first album. We included eight round mirrors in the case, a tribute to the custom cosmetic treatment Page applied to the guitar in early 1967. We left the choice of where to install them to you. 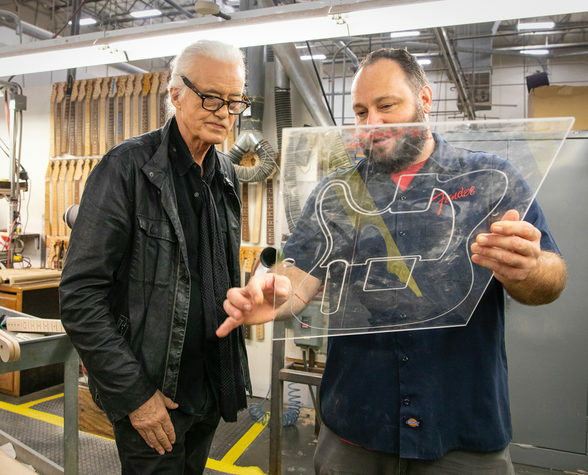 Before Jimmy Page’s famous dragon-painted Telecaster took on the form of the swirling mythical beast, it had an entirely different look – one that inspired the iconic, genre-defining riffs of the Yardbirds and Led Zeppelin. 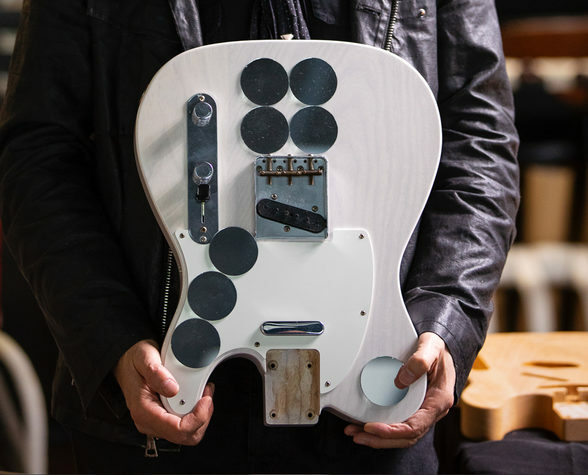 In the hands of its previous owner, Page’s longtime friend and Yardbirds bandmate Jeff Beck, this special Tele boasted a White Blonde finish, a maple neck and a slab rosewood fingerboard. As a prized piece of Beck’s rig, he played it often during his 1965-66 stint in the Yardbirds – a stint he landed after Page endorsed him to fill Eric Clapton’s slot after he left the band. Beck felt it was important to acknowledge the pivotal role Page played in launching his career. Page would soon join Beck in the Yardbirds on bass, before taking over on guitar when Beck left in 1966. 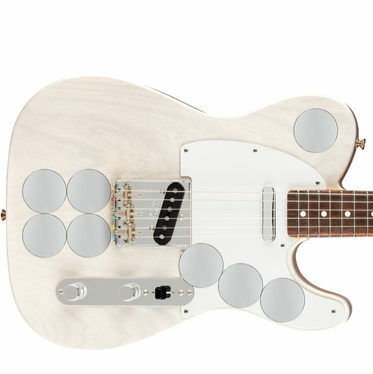 Once the Telecaster was in his hands, Page decided to personalize it by adding eight circular mirrors to the body inspired by the fashion and art trends of the ‘60s. The mirrors, which were applied in February of 1967, not only gave the Tele a kinetic feel, but it also allowed Page to manipulate the stage lights around him during his two-year run with the Yardbirds. “I got to the point where I wanted to consecrate this guitar and really make it my own,” said Page. “Being there in the Yardbirds, I was building my own identity in the group. I tried applying mirrors to it, so you could use it in an optical way with the lights and shine the mirrors on people while you were playing. The Telecaster was instantly recognizable for its mirrors – not to mention its scorching riffs – during the final years of the Yardbirds before Page stripped and hand-painted the guitar in 1967 to feature a mythical dragon. 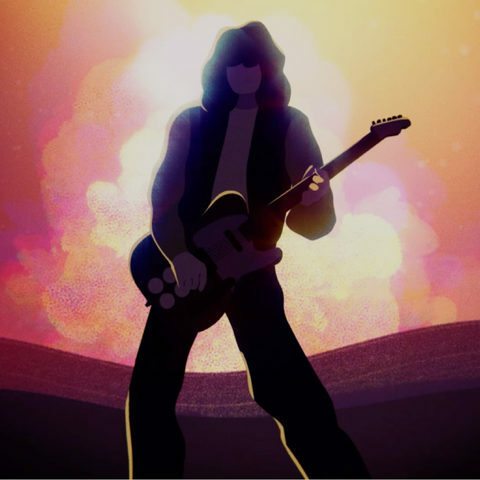 Still the magic remained – this legendary Tele became Page’s go-to guitar and the main instrument he used on Led Zeppelin I. 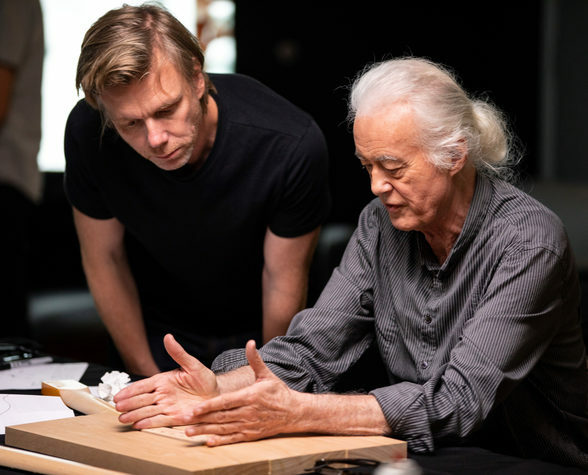 “Basically, this guitar goes through from the Yardbirds relatively unscathed to Led Zeppelin, and it's the guitar that does Led Zeppelin I,” Page said. “So, it's sort of the birth of Excalibur that goes all the way through in a way.